Australian government vide a recent immigration rule change, increased the minimum points’ requirement for its point tested visa categories. The changes will impact the visa categories under General Skilled Migration (GSM) Program. Hence, if you are planning to apply any of the GSM visa categories you will have to recheck your eligibility once again. What are the changes in point system? Well, the minimum point requirement for a GSM visa category was 60 points earlier, however, now this requirement has been increased to 65 points with effect from 1st July, 2018. 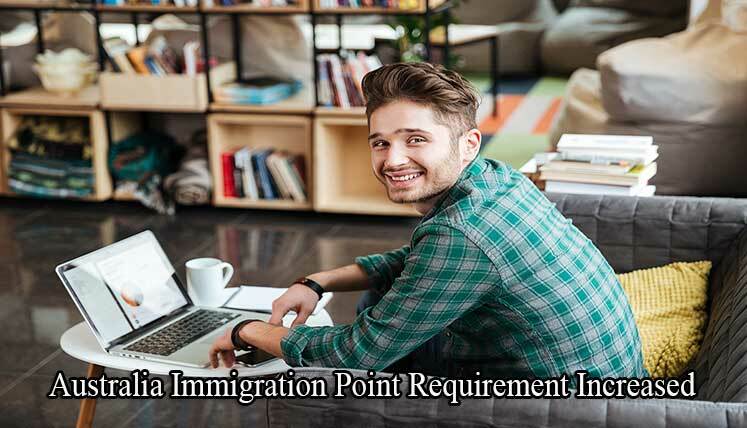 Hence, if your immigration point score is 60 points, you are not eligible to apply for any of the General Skilled Migration program visas. Well, three key visa categories under GSGM need minimum 65 points from an applicant, i.e. The first two of the above visas are permanent residence visas, which allow a holder to live and work in Australia on a permanent basis. Subclass 489 regional visa is temporary visa with a validity of 4 years. Both the above documents are necessary to create your profile in SkillSelect System and submit the EOI (Expression of Interest). Need assistance to apply Australia permanent visa as per new changes? If you need inclusive support and assistance to apply Australia permanent residence visa as per the new point system requirement, you must coordinate with a trusted Visa and immigration Consultancy firm for Australia. Visas Avenue Immigration is one such trusted and registered Visa and Immigration Consultancy Agency for Australia. It has got a tremendous record for obtaining Australia PR visa approvals for its vast number of clients across India. Every year, hundreds of immigration applicants apply Australian visa through Visas Avenue and obtain the same through the guidance of an expert. You may contact Visas Avenue immigration expert on Toll-Free Number- 78-18-000-777. Alternatively, e-mail your queries to Visas Avenue e-mail id- info@visasavenue.com. How to know my Canada immigration application status online?